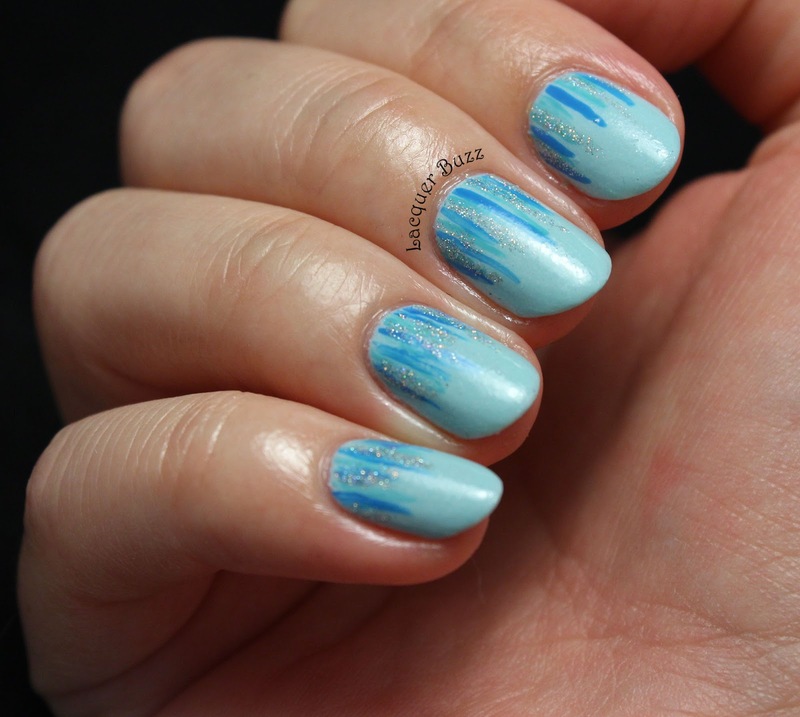 The polish I was talking about is Revlon Blue Lagoon, an old classic from the Revlon permanent line. It's been around for a lot of years now and although I'm not sure, I think it's still being produced. It's a light blue with just a hint of a green hue, which pairs it well with turquoise and teal. It also has tiny silver flecks that are mostly visible in bright light. I really love this polish but I haven't used it much because of the formula. It's really thin and transparent, to make the flecks shine through, so it needs at least 3 coats to be opaque. Because of the thin formula it's very easy to get streaks and bald spots, which means you have to be very careful with application. That doesn't sound too good, does it? 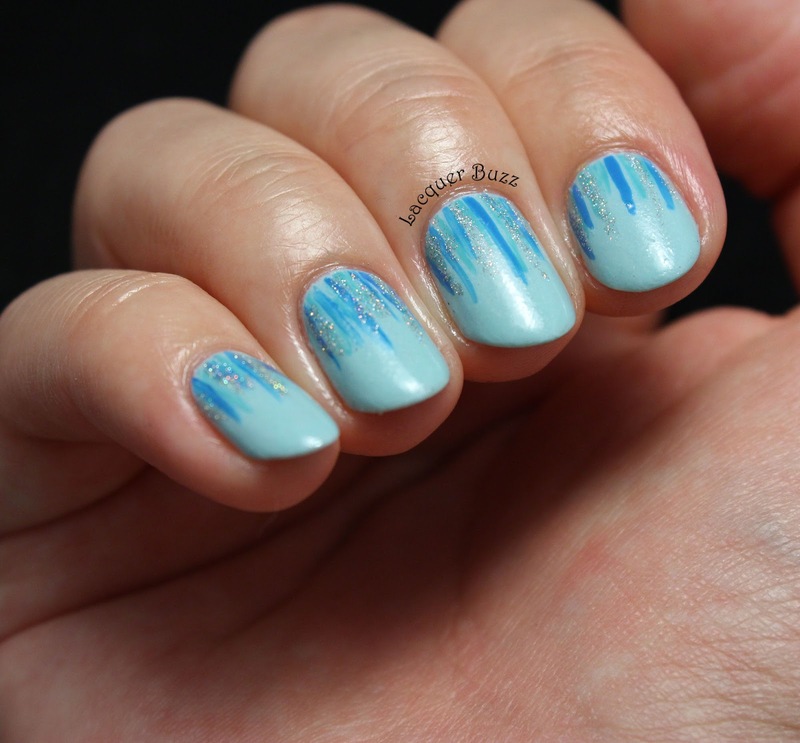 I decided to add some waterfall nail art over it using a striping brush and three polishes: Essie In the Cab-ana, Barry M Cyan Blue and China Glaze Glistening Snow. I love how easy this is to create because of its randomness. The key element is definitely the glitter that brings everything together. Otherwise it would be some random stripes that look like nothing at all. I'm not sure how long this manicure will last, since this polish tends to chip really quickly because it's so thin. I do like the end result though and hopefully you like it too. Make sure you check out the rest of today's Monday Blues in the links below!